The C-Brats :: - Question about splash well designs on C-dorys. Posted: Sat Nov 03, 2018 8:39 am Post subject: Question about splash well designs on C-dorys. Hi guys and gals, I’m a new member who is considering replacing my current boat which is a Alumaweld 22’ (excluding floatation bracket length) with a 25’ C-dory (mono hull). The Alumaweld has been an excellent fishing boat for my wife and myself. However we now have 2 kids and were considering a boat with more cruising and boat camping capabilities. 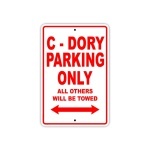 I’ve been looking at website pictures and reading a lot about 25 C-dory’s, and the one thing that I’m really not liking about the C-dory is the lack of a fish box. 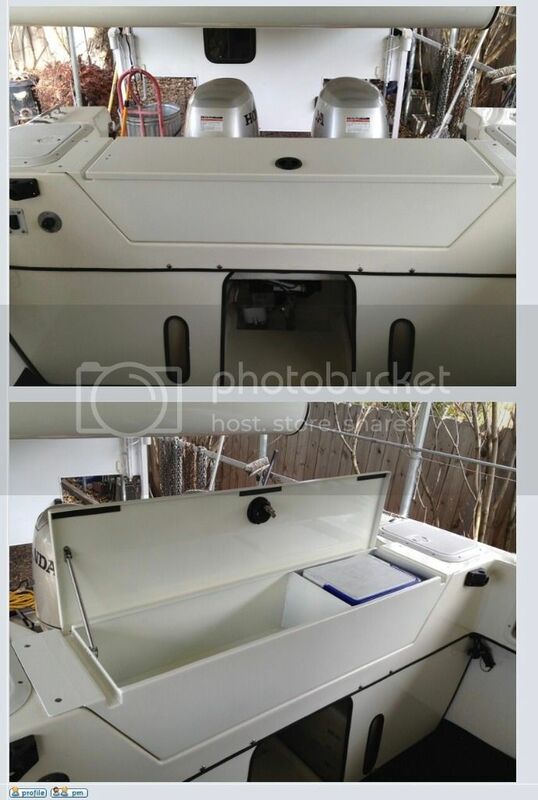 While researching ways to add a fish box I came across the pictures below, which were posted by fellow member Hambone , it appears to be a possible solution to the fish box problem. 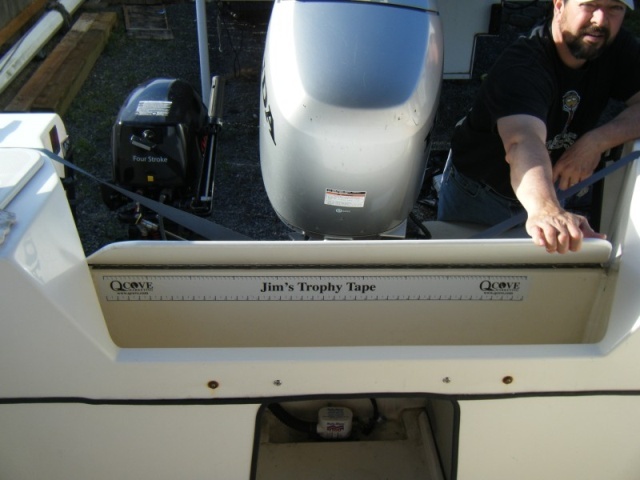 According to Hambone this box was custom built out of aluminum for his 22’ C-dory cruiser. After looking over many pictures of the motor splash well design on 25’ and 22’ers I’m getting the impression that the 25 has a shorter splash well (different design)?? ?My question is do you guys think this fish box idea would work on a 25’er with twin 90’s? I think the 25 has a different splash well design. The middle of the well is used for the cables coming off the motor as well as the motor actuator. The sides are open, though. You could make 2 separate containers, joined by a bridge. Look and see. Posted: Sat Nov 03, 2018 10:46 am Post subject: Re: Question about splash well designs on C-dorys. [quote="Mike_b"]Hi guys and gals, I’m a new member who is considering replacing my current boat which is a Alumaweld 22’ (excluding floatation bracket length) with a 25’ C-dory (mono hull). The Alumaweld has been an excellent fishing boat for my wife and myself. However we now have 2 kids and were considering a boat with more cruising and boat camping capabilities. after they bleed out they get head & gut or filleted & put on ice in a cooler that lives under the V berth area. 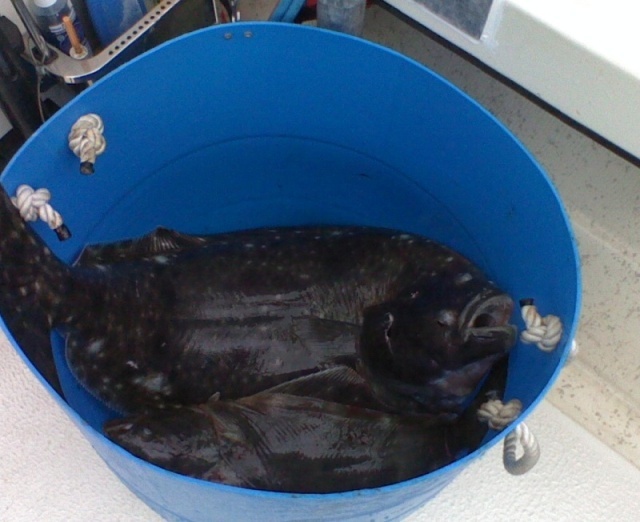 If halibut / Rockfish I have a half a 40 gal. water bbl. that lives on the starboard side of cockpit / deck up against back of cabin. That bbl. will hold a 150#, 120#, & 4 30-60# halibut at the same time. Don't know about the 25, but on the 22 such a fishbox would make getting in and out of the boat more difficult IMO. Usually when entering or leaving the boat at the dock, usually we step on the swim step first, then the dock. Boarding the boat, the first step is onto the swim step. The low cut of the 22 splash well makes this easy. Having to climb over this box would be a pain. Same thing would be true when using the swim step to board from the water or a dinghy. I use a fish bag in the back of my boat. I don't have an image of mine but it is very similar if not the same to the picture in the post by "flapbreaker." I might have even gotten the idea from this post. I've been very happy with the bag. It recently held 3 limits of rockfish and lingcod. Over 160lbs of fish. Also, the bag is portable unlike a fish box so if you ever berth your boat as I do currently its easy to transport the catch. Ive also had 5 limits of crab, 3 limits of salmon with extra space available. I don't know about the 25 but the Tomcats have a live well and two fish lockers. With twin 90's you will be taking up more of the splash well with motor cables, fuel lines, tiller arm and steering. On my 25, there is room for the Honda EU 2200 on each side of the single 150. the amount of room in the center is quite a bit less for and aft. With the twin 90's it would be worse--since the engines turn into the space in the center. What you might end up with would be a box 10" from top to bottom, and maybe 6 to 8" fore and aft, and about 40" athwartship. If that is large enough--go for it. You could use the seats (one on each side aft) and put the box above those: This would allow as wide a box as you want. It could easily be 12" high, 12" forward & aft and over 6' wide. However you would loose some cockpit space, and not be able to get to the swim step easily.... This box could be removable. Thanks for the reply. The Tomcats are nice boats, but they appear to be a little out of my price range. Posted: Sat Nov 03, 2018 4:21 pm Post subject: Re: Question about splash well designs on C-dorys. How big of a cooler are you able to get in the V berth? Here is a picture of the fish box I built for our 22. you could do the same for the 25. it was just adding a rear wall to the spashwell and a lid on hinges. We lover it. It freed up a lot of room on the floor by getting red of a ice chest for day fishing. Its also allowed for a place to put fish until you could clean and process before putting them in a ice chest if on longer trips. It had a drain so that it could be filled with water and then cleaned out. Great for crab and shrimp. It also doubled as a seat for two or as a step for getting in and out of the boat. it made getting to the swim step a whole lot easier. It is hands down one of the best things we did to the 22. I have not seen this boat again since steve dore sold it. It has to be out there some where. One of a kind. Thanks for the reply. I thought about the bag idea, however the problem I have with the bag is the cockpit space it would consume. 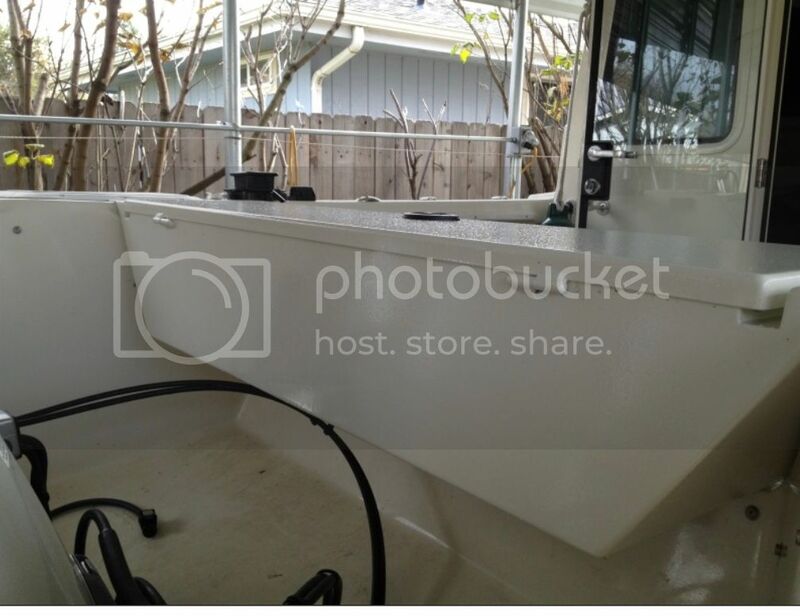 If I were to sell my current boat and get a 25’ C-dory I would already be loosing about 4.4 square feet of cockpit space. We are a family of 4 so I want to have as much cockpit space as possible. I understand. The bag isn't even noticeable empty, but when it starts getting filled and starts to bulge it can get in the way sometimes. I still feel its the best solution for me. Cockpit space in general is a huge issue for me on the 22 since my main use is fishing and I didn't buy an "angler" version. But, on cold, rainy days while out nothing beats the nice cabin with heater and ability to cook. Plus the fiancee will actually go out in the boat with me for those reasons! I think someone mentioned the Tomcat. You may want to give it some consideration if its in your budget. I'm sure your already aware of the C Dory hull design and the handling in chop. You will notice a large difference in the handling versus your current deep v especially in speed to get to the fishing grounds. You will be saving a lot of money on fuel and in general C Dory is just a great boat with tons of positives your probably aware of. The TomCat has all of the c dory pros pros and handles the rougher water very well from what I have researched. That will be my next boat when I can afford it! Thinking about it I believe your post mentioned 2 kids. Overall the Tomcat would be a lot more comfortable for the 4 of you being aboard for long periods of time. Posted: Sat Nov 03, 2018 8:54 pm Post subject: Re: Question about splash well designs on C-dorys. I know I’m going to be sacrificing some ride speed in the chop if I end up with a 25 c-dory. I’m not sure how much? My current Alumaweld with its continual 18 degree vee pounds in chop as well, but it’s the only big boat I’ve ever owned so I don’t have much to compare it to. What I can say about ride comparisons is that I’ve had a Grady White blow past my Alumaweld in 2 to 3 foot chop in the ocean out of Reedsport Oregon. Fuel not a huge consideration due to the fact that we both are still working with kids so long distance cruises are not in our immediate plans. Mostly we will do a few short cruises a year on the Columbia river, along with boat camping at our local lake. The Tomcat would be a great choice, but out of our budget. 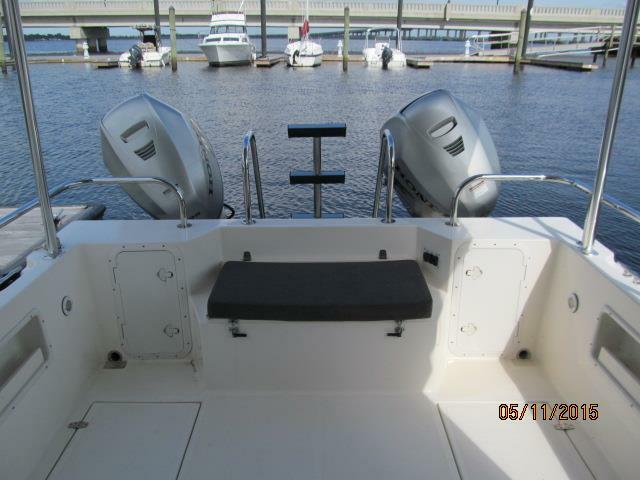 The best we can comfortably afford is a lightly used 25 cruiser or 26 Venture.